in a variety of public, private, and nonprofit endeavors. and Deputy Chief of Mission of the US Embassy in Riyadh, Kingdom of Saudi Arabia. a public policy and conflict resolution nonprofit. He has 40 years of leadership in government and industry. and as a Commissioner of the U.S. China Security Review Commission. civic and business leader in Washington D.C. and internationally. He is an American jurist, legal theorist and economist. for the Seventh Circuit in Chicago and a Senior Lecturer at the University of Chicago Law School. and was identified by The Journal of Legal Studies as the most cited legal scholar of the 20th century. Law, Pragmatism and Democracy, and The Crisis of Capitalist Democracy. teaches physical chemistry at the University of Florence, in Italy. climate science and renewable energy. He is the Shadow Assistant Treasurer and Federal Member for Fraser in the ACT. having graduated from the University of Sydney with first class honours in Law and Arts. He has previously worked as a lawyer and as a principal adviser to the Australian Treasury. the only parliamentarian to be a fellow of one of the four national academies. to the best Australian economist under 40.
and The Economics of Just About Everything (2014). and lives with his wife Gweneth in Hackett. He has been a member of the Australian Labor Party since 1991. (1) patient rights, (2) end-of-life medicine and (3) public health ethics. and public limitations on individual liberty. medical journals, nursing journals, bioethics journals, and book chapters. JAMA, Chest, and the American Journal of Bioethics. And he is a contributor to the the new Encyclopedia of Bioethics (4th ed.). The Law of End-of-Life Decisionmaking (Wolters-Kluwer 3rd ed.). He authors a regular column for the Journal of Clinical Ethics. for both the Medical Futility Blog and Bioethics.net. Professor Pope’s engagement with these issues goes well beyond scholarship. and as expert witness in cutting-edge healthcare litigation. the Medicare Evidence Development & Coverage Advisory Committee. He has served as legal consultant to several Policy Statement groups of the American Thoracic Society. and now co-chairs the Minnesota POLST Task Force. from 2007 to 2011, and at the University of Memphis from 2005 to 2007.
where he received both his J.D. and a Ph.D. in philosophy and bioethics. with highest honors and was elected to Phi Beta Kappa. Chair in Law at the University of Dayton School of Law in Dayton, Ohio. of State Bureau of Intelligence and at a NATO Workshop on Cyberterrorism in Bulgaria. – once on economic espionage and once on cybersovereignty. by the St. Johns’ University School of Law and NATO Allied Command Transformation. and Offensive Economic Espionage, 54 Harvard International Law Journal 92 (2013). and Cyberthreats and the Decline of the Nation-State (Routledge 2014). and on epidemiological aspects in mental health. as Research Fellow/Lecturer in Social Medicine. and at present I live most of the time in Italy – land of my De Noli ancestors . Further biographic details found here, and here. and Money Management For Those That Don’t Have Any. Paris is the Editor In Chief of the website ChristianMoney.com. He regularly appears as a guest on radio and TV as a financial commentator. Fox News Channel, and countless other media outlets. – exposing the lies, frauds and scam artists of this industry before it becomes public knowledge. I’ve been sued for defamation and libel over it (which later turned out to be true of course). And, while I prefer not to deal with the joke that is our court system, I will continue telling the truth. I’m obsessive about getting things right and have built a network to get the facts out there. I’m able to get the real dirt about a situation that others simply can’t. The Washington Post,ABC News, Barron’s, The New York Times, Bloomberg News, Business Week and Forbes. The Harry Schultz Letter, The Daily Reckoning andSimon Black’s Sovereign Man Confidential. The Oxford Club, The Sovereign Society (of which I was a co-founder) and many others. and clients protect their assets, protect themselves and live more free lives. Texas and the Director of Americans for a Free Republic www.afr.org. Daily Paul, Canada Free Press, and The Daily Bell. He is the author of The Golden Mean: Libertarian Politics, Conservative Values. He works at Gadsden Islamic Society, Gadsden Alabama- USA. Connecticut in one year Post Graduate Certificate of International Peace Makers Program . Prior to this, he worked in Copenhagen, Denmark at an Islamic association for 3 years. in addition to six ten-day programs in Islamabad. he devised curricula to introduce study of human rights in madaris and Christian seminaries. and interviewed the heads of the leading sixty madaris affiliated with different sects. discussing the socio-economic trends in the leading Pakistani madaris over the next ten years. from interfaith dialogues to environmental campaigns. Mr. Khan regularly delivers lectures on local radio in English and Urdu. He is also involved in counter-radicalization projects aimed at the youth demographic. which discussed how relationships between the media and religions can be improved. He is also on the panel of Global expert finder a project of United Nations Alliance of Civilizations. Teaches history and family studies at The Evergreen State College in Olympia, WA. based at the University of Illinois at Chicago. and she is frequently interviewed on national television and radio. as well as opinion and op-ed pieces both nationally and internationally. and is quite active with the Civil Society organizations and causes. He also works as consultant in the areas of his interest. I was born and raised in Puerto Madryn, in the Argentine Patagonian region. and a second bachelor in International Relations in 2007.
for Latin America and the Caribbean (ECLAC) at Santiago de Chile. and social policy in Latin America. and Technological Research (CONICYT) to conduct a four year doctoral research. of Prof. P. Silva from the Department of Latin American Studies at Leiden University. He is a Fellow of New Westminster College. of the Research Institute for European & American Studies (RIEAS) in Greece. and has completed advanced studies in Criminal Profiling in India. terrorist threat assessments and counterintelligence related security fields. credential from the S2 Institute of Safety and Intelligence. Certified as a Protection Officer by IFPO, and is a certified Crisis Response Coordinator. and the International Counterterrorism Officers Association. UNITAR Courses, and is specialized in threat and vulnerability analysis and assessment. he is the administrator of two on line courses in Intelligence and Counterintelligence. also covers the TACHUMINT concept. The very important concept of I&W is dealt with thoroughly. for Scholars’ Africa Program, a public policy research institute. writing, traveling to foreign countries, and spending time with his family. and Sciences Po, Paris. He is married and lives in Washington, DC. Strategic Studies and International Security Affairs in May 2006. Dr. Forkner served as a commissioned officer in the United Stated Navy from 1983 to 2011. He was designated a Naval Flight Officer and later a Surface Warfare Officer. where he served from July 2006 until his retirement at the end of October 2011. Program Director, serving 750 students from three colleges and the local community. Group for four years and the Dean’s Advisory Council for three one-year terms. Dr. Forkner has published over 20 articles, editorials, and research reports. of Global Education Journal and Insights to a Changing World. and unit awards during his 28-year naval career. holds a Ph.D in International Economics from Fordham University in NewYork. research, and writing, and he makes periodic contributions to discussion in LinkedIn and WriterBeat. and has corresponded with Bernard Heuvelmans and Ivan T. Sanderson. and is a freelance artist and writer. He is a retired Indian Foreign Service officer. and Conflict Studies and a Visiting Fellow at the Institute of Chinese Studies. and Ambassador-in-Residence at the Jawaharlal Nehru University. Geostrategic Scenario in the 21st Century. pertaining to the Gulf region sponsored by the Ministry of External Affairs. Frankfurt (Consul-General) and Kathmandu (Deputy Chief of Mission). in Taiwan from May 2000 to May 2003.
public land, and transportation issues. has had a major influence on Forest Service policy and on-the-ground management. has influenced decisions in cities across the country. and environmental problems without heavy-handed government regulation. O’Toole’s latest book is American Nightmare: How Government Undermines The Dream of Homeownership. O’Toole is the author of numerous Cato papers. and articles for numerous other national journals and newspapers. and in economics at the University of Oregon. to individual and institutional clients. in Chicago and CLR Financial in Elmhurst. Paul’s investment expertise is in portfolio management and asset allocation. Marketwatch or TheStreet.com. He has also been seen on CNBC Asia and CNBC Europe and FoxBusiness. Elmhurst swim team and Finance chair for the Elmhurst YMCA. emerging markets, real estate, commodities as well as domestic stocks and bonds. and valuations as well as changes in client situations. over constitutional interpretation and judicial philosophy. and was a National Fellow at Stanford’s Hoover Institution. for excellence in writing on the U.S. Constitution. In 2001 Columbia University’s School of General Studies awarded him its Alumni Medal of Distinction. and testifies often before Congress. and a J.D. from the George Washington University School of Law. He is the immigration policy analyst at the Cato Institute. Previously he was the immigration policy analyst at the Competitive Enterprise Institute. Journal of Economic Behavior and Organization, and elsewhere. and radio stations across the United States. and MSc in Economic History from the London School of Economics. of the United States Justice Foundation www.usjf.net. Louisiana for 26 years and currently lives in Dallas. that are the birthright of every American. section, and amendment to the constitution and details what they actually mean. He has also done a video about the Constitution that is posted. aka “Maverick” is an author, explorer, & archaeologist from Texas. including the Pool of Siloam in Jerusalem in 2004.
in the Western Hemisphere & discovering a new trail of dinosaur tracks named the “The Judkins Trail”. ​”Coast to Coast AM with George Noory” & the History Channel. & is the host of his own show called “Man vs Archaeology”. His Ph.D. is in Biblical Archaeology. with over 13 years of experience working in the region. Bukavu, South Kivu, DRCongo (2007), among others. and defending human rights in violent and dangerous situations in Congo. Specializing in work related with Child and child soldiers, Women and Girl. Interested in academic work as well, conduct research in the Human Rights field. by providing objective financial guidance. Thompson Wealth Management is a fee-only financial advisory firm. and allows us to recommend the most cost-effective strategies to meet your needs. Texas where she managed $100MM+ AUM. and a World Contributor for TheDailyJournalist.com. as well as the 2013-2014 Vice President of Gulf Coast Mensa. and has been integral in creating new and innovative scholarship opportunities for students in the region. a weekly radio/podcast program accessible worldwide. and retirement planning geared for the public. an education website tailored for the individual investor. and he earned his doctorate from Rutgers, the State University of New Jersey. The Journal of Audience and Reception Studies. and The Asian Influence on Hollywood Action Films. Science and U, Fresh Outlook and in various publications from Europe to Latin America. and served as the Director of the Communication Program. and Ethics, Strategic Planning and Writing, and Media Business. and Information & Psychological Operations & Warfare. of the Department of Strategic & Nuclear Studies, National Defence University. such as at Pakistan’s premier Quaid-i-Azam University, amongst others. Writing of the National Counter Terrorism Strategy and Threat Assessment for Pakistan. and their relationship with the Proliferation of Small Arms and Light Weapons’. civilian, political elite, and general populace of Afghani and Pakistani societies. International Studies (SAIS), Johns Hopkins University, Washington DC, for the year 2013.
presenting Irregular Warfare & Strategic Stability in South Asia. 06 May 2014. Al Jazeera, Abu Dhabi TV, Al Ain TV, Saudi TV, Libyan TV, News1, Khyber TV, and Voice of America. I was born in South Africa but have lived here in Israel more than half my life. I qualified as an registered Israeli guide. as well as regular groups and my site www.ratzer-holyland.comhas testimonies from a few of them. – the need for a concise and accurate chronological history of the Land of Israel. The English version is in its third edition and it is also available in Spanish and Russian. All three versions are available on Kindle. while offering them food for thought. He is director of financial regulation studies at the Cato Institute. of the U.S. Senate Committee on Banking, Housing and Urban Affairs. economics, banking and insurance for Ranking Member Richard Shelby (R-AL). the National Association of Home Builders and the National Association of Realtors. and moderate income households. He holds a doctorate in economics from George Mason University. of the Voice of Russia London bureau in 2011.
and writes on political relations between East and West. and Western media gives him a unique perspective of how both sides view and portray each other. and alternative news media and socio-political issues and events. Organisation, Labour and Globalisation, and two edited volumes. Communications, an affiliate of Project Censored, and a regular contributor to GlobalResearch.ca. U.S. foreign relations law, and environmental sustainability. a J.D. from the Yale Law School, and an M.P.P. from the Kennedy School of Government at Harvard University. at the firm now known as Wilmer Hale in Washington, D.C.
From 1995 to 1999, he was Director of the Global Environment & Trade Study (GETS) located at Yale University. From 1991 to 1995, he was Policy Director of the Competitiveness Policy Council. The Council issued four reports to the U.S. Congress and President. trade adjustment assistance, and technical cooperation with Saudi Arabia. and the Journal of Environment & Development. He is a member of the Council on Foreign Relations and the American Law Institute. He is the author, co-author, or co-editor of three books and over 200 articles, essays, or book reviews. He is admitted to the bar in New York and the District of Columbia. He blogs at International Economic Law and Policy Blog. and Director of the Brown University Global Emergency Medicine Fellowship. at the Harvard Affiliated Emergency Medicine Residency in Boston. India, Zambia, South Africa, Bangladesh, Rwanda, Haiti, Libya, and South Sudan. annual Global Emergency Medicine Literature Review. care in resource-limited settings and during humanitarian emergencies. after which she pursued a legal career, also in London. where she has been writing for a bunch of art and culture online publications. and she has successfully run advertising and branding campaigns. Kala speaks English, Hebrew, Polish, German and Russian. track record while continuing to build and expand SGI’s project portfolio. and have enabled him to help significantly increase SGI’s revenue each year since. and the agency’s extensive expansion in Afghanistan from 2004 to 2008.
and DEA-led multi-agency intelligence organizations supporting critically-important U.S.
further bolstered his executive leadership experience. and new ideas to address the next generation of challenges facing the United States. He was the director general of Palestine Note. the Development Department by securing the first foundation grant to the organization. to design investment strategies for youth in the Middle East and South America. Elsalameen speaks Arabic, Hebrew, English, French, and Mandarin-Chinese. I am a curator, guide, advisor, rainmaker on ESG and Impact Investing (Sustainable Finance). My mission is to create an economy based upon well being. To achieve that goal, I mobilize capital for sustainable investment. This is achieved by educating asset owners and managers why is Values Based Investing important. is the Values Based Investor Forum for Asset Owners and Managers. We have held 25 annual events over 16 year period in Europe, Asia and North America. of the Society for the Study of Peace and Conflict, New Delhi. WMD terrorism, armed conflict and issues relating to arms control and proliferations in South Asia. His views appeared in Jerusalem Post and La Clave, among others. ISN Security Watch, South Asia Intelligence Review and Peace and Conflict Monitor. in all aspects of fundraising, marketing, and management. Alon has vast experience managing and consulting in the security surveillance. He is the author of the book Shadow Force: Private Security Contractors in Iraq. His blog is Isenberg Institute of Strategic Satire. He wrote the “Dogs of War” weekly column for UPI from 2008 to 2009.
project at the International Peace Research Institute, Oslo. In 2011 he testified before Congress on labor trafficking by a KBR subcontractor. He is a Senior Analyst at Wikistrat. and the Independent Institute. He is a US Navy veteran. He began his education as a Criminal Behavior Analyst in 1988.
procedures and domestic terrorism analysis. Federal Law Enforcement Training Center from 2005 to 2008.
on numerous criminal cases, including the first murder investigation of JonBenet Ramsey. He is a social networking and blogging professionals. and publishing blogs for technology companies. for marketing and image promotion. EE and FPGA) and a field engineer for storage companies and design software (CAD/EDA). He is a writer and businessman. He grew up in his birthplace where he made the first steps in different fields. in public diplomacy & media industry. and Sponsorship & Fund Raising. He is a member of various diplomatic and media forums across the world. Khairuddin Shadani is the founder of Planet Diplomat. conflicts management, political & social strategy and peace & international development. development and United Nation’s global agenda. fostering mutual understanding between communities and cultures. and Taliban activities in Syria.Well known for expertise on Terrorism. Analysis of insurgency and irregular warfare in the Arab world. as its Chief Diplomat and led its efforts in resource mobilization and partnerships. Before joining the IFRC, he had served in the United Nations since 1997. He has lived and worked in the Middle East, Africa, Asia and Europe. 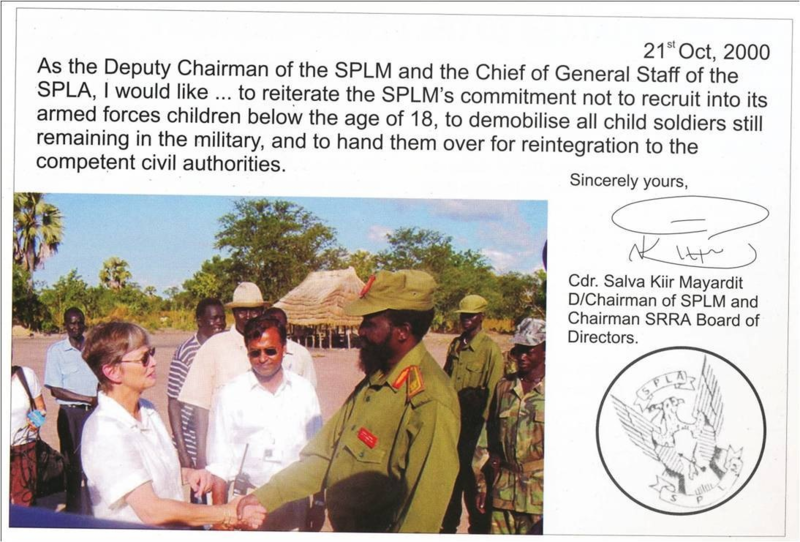 3551 child soldiers from the Sudan People’s Liberation Army. was undertaken during an ongoing conflict. He is a graduate in Public Policy from Princeton University. for gallantry during his service in the Indian Army. He writes extensively on humanitarian, development & compelling social issues. Forbes, Reuters, the Global Observatory and mainstream Indian journals. All his OP-EDs are on his blog site. He also did a TEDx talk on child soldiers in Spain. Inter Press Service, VOA, NPR and UNICEF. He has been mentioned in various news journals. All his interviews and mentions in the press can be found here. a parachutist as well as a SCUBA diver. He is a husband and a father and he dotes on his son. in The New York Times, Jerusalem Post, Al-Arabiya, and Hurriyet. and an exchange program at the University of the German Federal Armed Forces Hamburg. Studied at the Hebrew University of Jerusalem before receiving a B.A. from Duquesne University in History and a Minor in German. Graduated with a M.A. in Security & Diplomacy from Tel Aviv University. in the Wikistrat International Grand Strategy Competition. Completed mandatory military service in the Israel Defense Forces (IDF). Mintpress, Eurasia Review and many more. and helped oversee several rights campaign in both Yemen and Bahrain. He holds an MA in International Relations from the University of Manchester, UK. and Geopolitics at Qafqaz University. His field of research includes Eastern European Politics and Energy Issues. and an M.B.A. in Shipping (ALBA Graduate Business School, Greece, 2008). and from 1996 until 2009 for Royal Dutch Shell. and lectures (Strategy and Management) at the University of Greenwich. Corporations and NGOs leading a Team of Experts. Consultant for a Law Enforcement Agency. He is a researcher and media strategist for cyber sect. Currently works for CYBER SECT and Turkish Central News,. In the past he was part of PrevioMedya EGE Türkiye. He studied at AOF Media with a degree in Communication Studies.